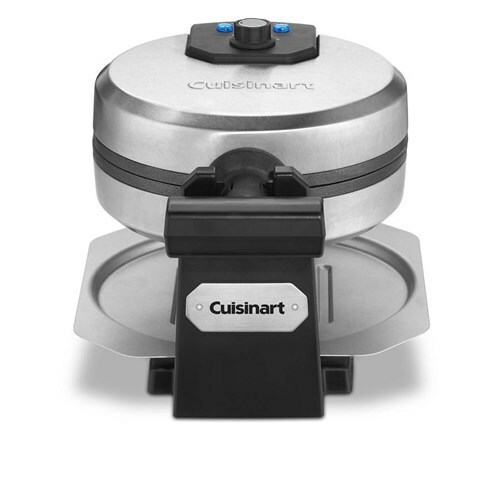 The Cuisinart Belgian Waffle Maker is a round waffle maker that makes cooking your breakfast pleasurable. The waffle maker features blue LED light indicator that lights when unit is ready for batter and when waffle is done. The easy to handle rotary allows you for even baking on top and bottom. The 6-setting browning control knob ensures waffles are cooked perfectly, from light and fluffy to crisp and brown. The Cuisinart Belgian Waffle Maker has many exciting features for users of all types. You can extend the lifetime of your Cuisinart Belgian Waffle Maker with the purchase of a FactoryOutletStore Factory Protection Plan. 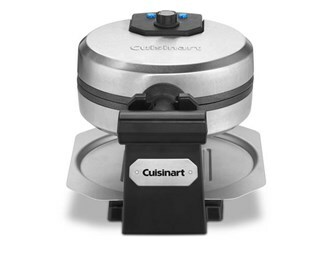 See the Cuisinart Belgian Waffle Maker product video and gallery images above for more details. The Cuisinart Belgian Waffle Maker is sold as a Brand New Unopened Item.